HM Revenue & Customs is constantly working to ensure security by regularly screening the accounts in our system. We recently reviewed your account (error code : 00562), and we need more information to help. The email then invites you to click on a link in the message body to update your information to remove the limitations to your account. Do not click on the link, it is redirecting you to a phishing site. 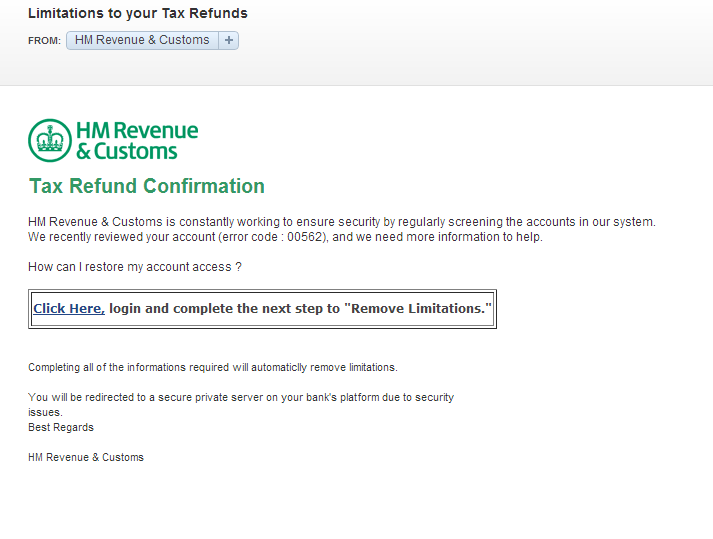 You can report the email by forwarding it to phishing@hmrc.gsi.gov.uk. We have reported, but the more reports the better. For more information about email scams and phishing attempts involving the HMRC, have a look at the HMRC website. 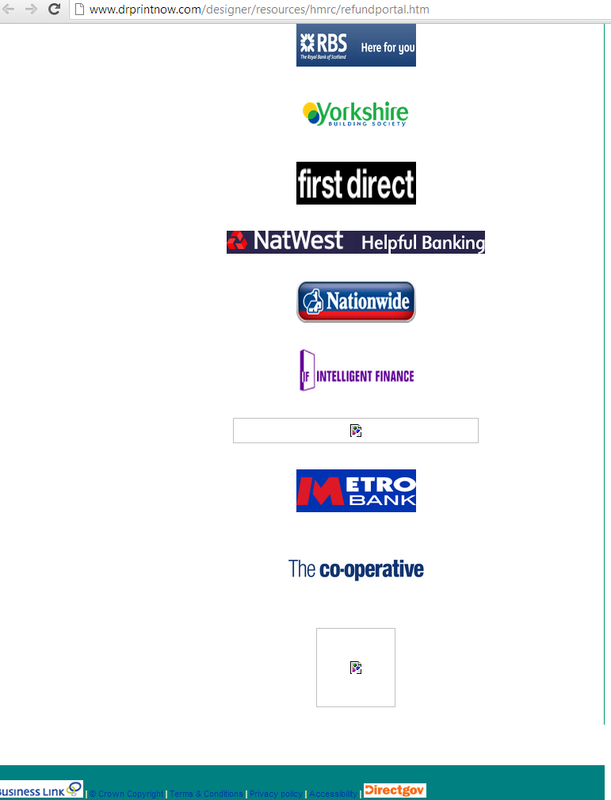 Although the page did have the HMRC logo in the corner, but although the site looked quite convincing it did not look very professionally made, like you would expect of a real website set up by HMRC. A good thing can not be repeated too much: Do not give away personal and confidential information online. HMRC or your bank would never ask you to do this, only scammers and criminals do.